In case you missed it, today is Valentine’s Day – and yup, that’ll explain why all of our favourite snacks have suddenly taken a heart-shaped turn, and everywhere from your local convenience store to your gym seems to be adorned with red hearts. 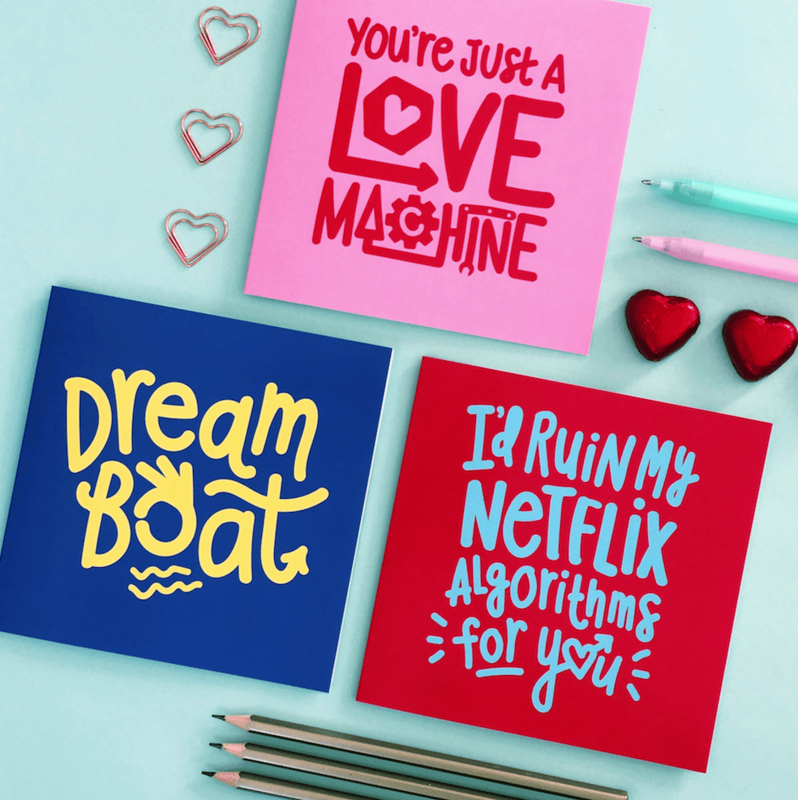 Whatever you’re feelings about the Day of Love, it sure makes for some fun Greeting Cards, and we’ve been lucky enough to spot some awesome ones passing through our presses this month. Here are just a few of our favourite designs, from funny to all the feels, we’re loving each and every one of them! Give yourself a dose of the loving feeling right here with us. Created one that we missed? Tag us on Instagram. 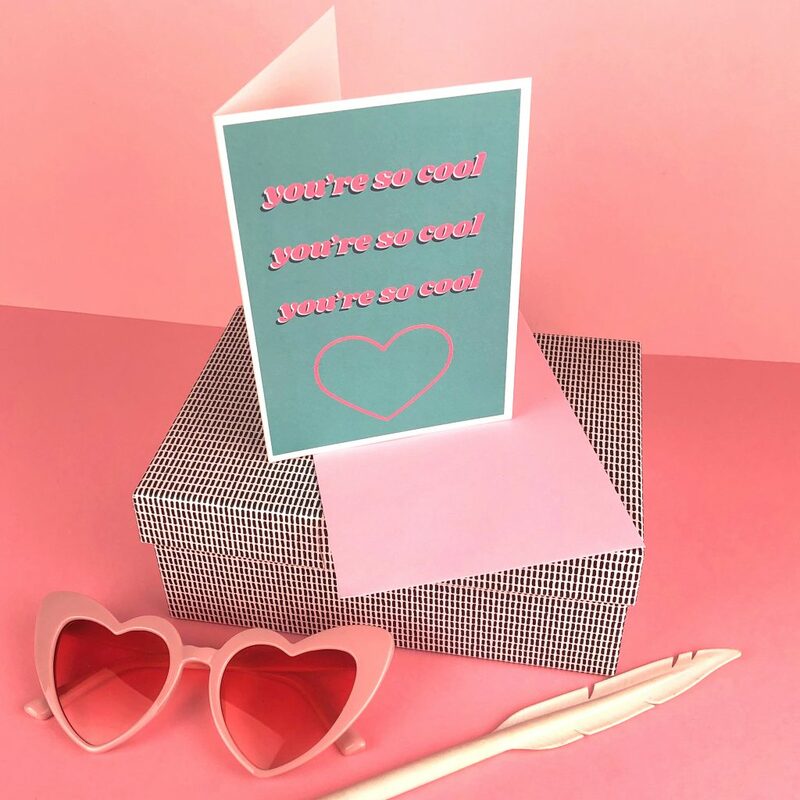 Roses are red, violets are blue… how ‘cool’ is this Valentine’s Day Card form Doodlemoo?! 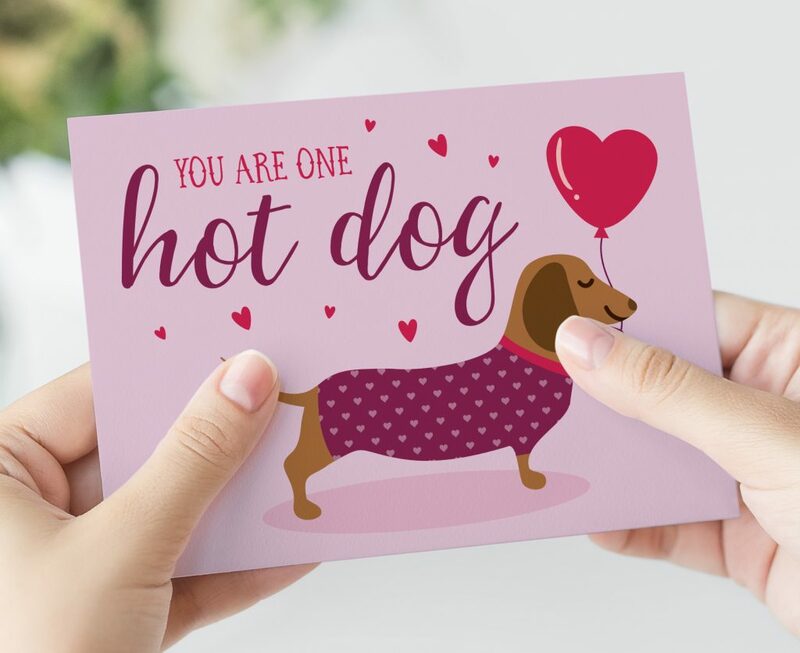 If, like us, soppy cards make you want to vomit in your mouth a bit, here’s a low key way to tell you other half you care. Easy on the shmooze, heavy on the bold design, we want to give this to everyone this year. Remember those awesome tipi shaped Save the Dates that we featured a while back? Well, creator Emma of Blush and Blossom has been at it again, this time with the cutest little hot doggie we ever did see. Perfect for showing someone you care, but without going overboard on the lovey-dovey, this little Daschund and his adorable jumper would like right at home on your loved one’s mantelpiece. 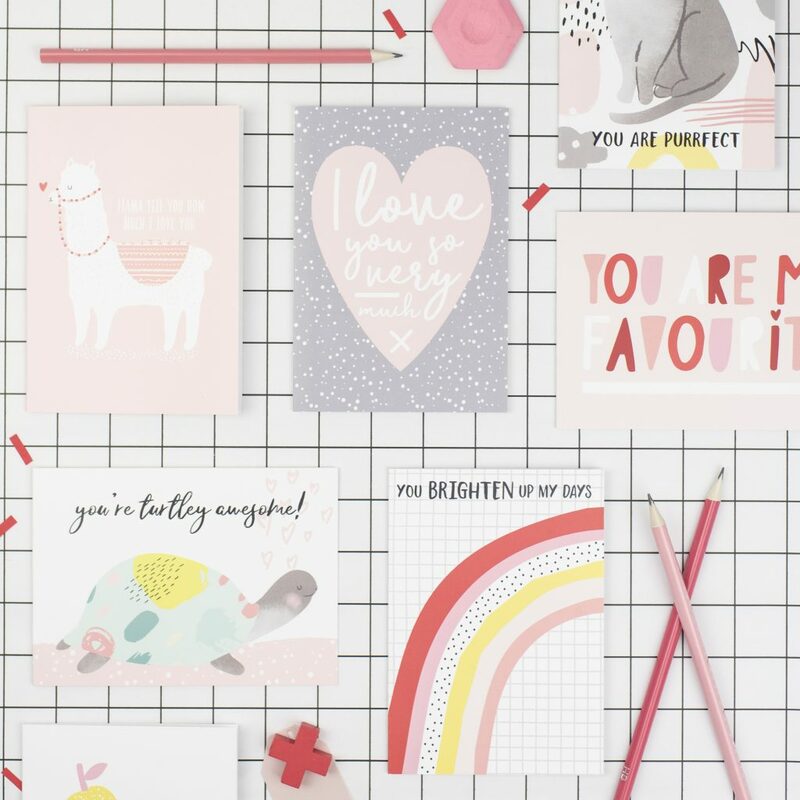 From llamas to cats and even a turtle, Dainty Forest’s cute Valentines Day designs would make the ideal choice for an animal lover in your life. Her simple colour palette and illustration style keeps it simple, while keeping that all important message of love at heart. We want them all! Credit to Holly Booth for the photography on this one too! Is there anything more romantic than ruining your carefully selected Netflix algorithm for another person? Anyone who’s spent years building a library of shows that are just oh-so-perfect will know that that one documentary on Russia that you promised you’d stay awake for, can totally ruin all your evenings spent binge watching OITNB and Making a Murderer. But it’s ok, because it’s for love, right? All you need is… Love? Well we’re not sure, we think we need this gorgeous monochrome print in our life too! The Pineapple Prints keeps it simple and chic – and if you’re a little late on the old V-Day front, it’d make a perfect gift for any time of the year! Make a great pair? Why not show your love with a pear? A glitzy one, at that! We love this simple yet beautiful design from Aimee Mac. Perfect in presentation, simple in style and well, it’s a pear! Who doesn’t want a glittery pear card!? We featured Lucy and Lolly’s awesome seed cards on our blog before, and she’s back with these cute Valentine’s creations! What better way of showing your other half how much you love’em than with a gift that keeps on giving (and growing?!). Awesome. Feeling the love? Why not create your own Valentine’s Day Cards? 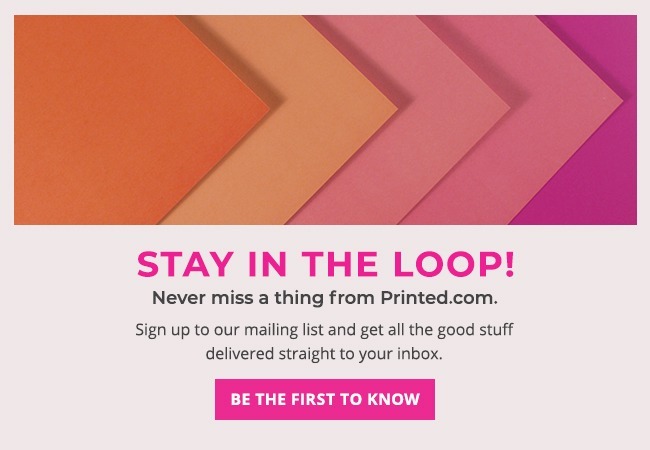 At Printed.com, we’ve got a huge range of papers and finishes to mae your Greeting Cards unique. Why not try out fancy foil? How about intricate Laser Cutting? Or keep it sustainable with our favourite Recycled stock! The choice is yours.